The most elaborate and well-preserved Indian theory of atomism comes from the philosophy of the Jaina school, dating back to at least the 6th century BC. Some of the Jain texts that refer to matter and atoms are Pancastikayasara, Kalpasutra, Tattvarthasutra and Pannavana Suttam. The Jains envisioned the world as consisting wholly of atoms, except for souls. Paramāņus or atoms were considered as the basic building blocks of all matter. 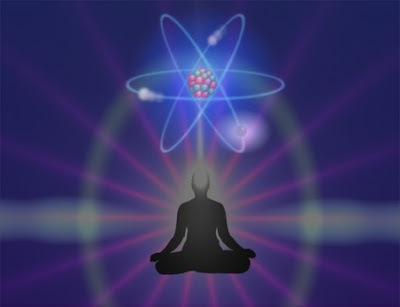 Jain’s concept of atoms was very similar to classical atomism, differing primarily in the specific properties of atoms. Each atom, according to Jain philosophy, has one kind of taste, one smell, one color, and two kinds of touch. Atoms can exist in one of two states: subtle, in which case they can fit in infinitesimally small spaces, and gross, in which case they have extension and occupy a finite space. Certain characteristics of atoms correspond with that sub-atomic particle. For example an atom is characterized by continuous motion either in a straight line or in case of attractions from other atoms, it follows a curved path. This corresponds with the description of orbit of electrons across the Nucleus. Ultimate particles are also described as particles with positive (Snigdha i.e. smooth charge) and negative (Rūksa – rough) charges that provide them the binding force. Although atoms are made of the same basic substance, they can combine based on their eternal properties to produce any of six "aggregates", which seem to correspond with the Greek concept of "elements": earth, water, shadow, sense objects, karmic matter, and unfit matter. To the Jains, karma was real, but was a naturalistic, mechanistic phenomenon caused by buildups of subtle karmic matter within the soul. They also had detailed theories of how atoms could combine, react, vibrate, move, and perform other actions, all of which were thoroughly deterministic. According to Jainism, there are infinite atoms in this cosmos and all are eternal. Their number remains the same though they undergo modifications (i.e. they combine and depart with others). The smallest part of atoms has not been discovered even by the modern physicists. In Jainism as seen and known by the omniscient it is neither created nor can it be destroyed. Nice description about atoms. It seems that you are well versed with both Jain scripts and modern particle physics. thanks for putting comment and liking the post! I am very well aware of your blog's article that you have mentioned in your comment. It describes what Universe is in real in both scientific and scriptural term. IF the picture of the cosmos becomes clear in our mind (like dravya-guna-paryay swaroop) then we can attain samyak darshan. Coz the knowledge of six dravya mentions what we are (the soul) and by knowing our real nature we already crosses half of journey in this mundane world. The 6 states might correspond to 6 types of quarks(elementary particles) I haven't read it but that was my first thought?